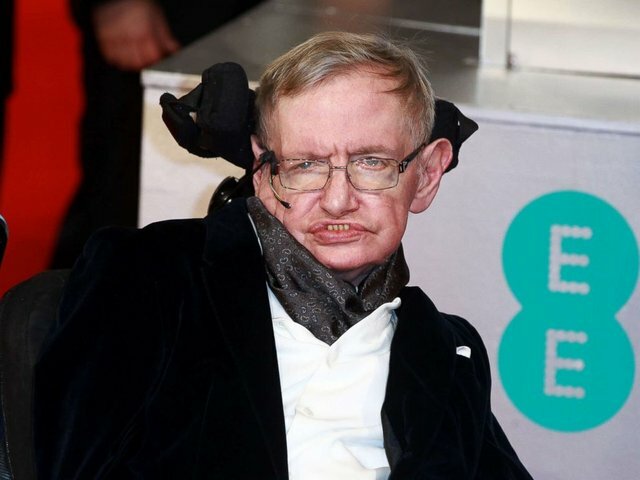 Hawking, whose books included "A Brief History of Time" and "The Universe in a Nutshell," was diagnosed in 1963 with Amyotrophic Lateral Sclerosis, more commonly called ALS or Lou Gehrig's disease. Hawking leaves behind his daughter, Lucy, and two sons, Robert and Tim. They thanked his fans who have "been by Professor Hawking's side –- and supported him -– throughout his life." "Here are the most important pieces of advice that I've passed on to my children," he said. "One, remember to look up at the stars and not down at your feet. Two, never give up work. Work gives you meaning and purpose and life is empty without it. Three, if you are lucky enough to find love, remember it is rare and don't throw it away." 1963 — Diagnosed with the degenerative nerve disorder ALS, or Lou Gehrig's disease, at the age of 21. He is given two years to live. 1967 — The couple's first son, Robert, is born. 1985 — Admitted to a hospital in Geneva with pneumonia. He survives after an operation, but loses what remained of his speech. The next year he begins communicating through the electronic voice synthesizer that gave him his trademark robotic "voice." 1988 — Publishes "A Brief History of Time," a book on cosmology aimed at the general public that becomes an instant best-seller.